You have probably noticed that we like to keep a secret every now and then, and the name of this Islay single malt will remain under wraps. Nope, no clues whatsoever... Such mystery. Wow. 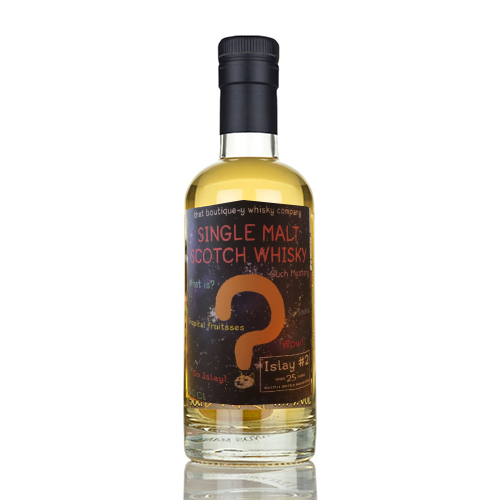 Nose: An underlying sweet fruitiness; oranges and pink grapefruit, is masked by waves of earthy peat smoke. There is coke too, no not that coke, coke and ash from a blacksmiths forge. Palate: The smoke is mellow, and it is sweet toffee and liquorice that lead followed by an oily maritime feel with a salty tang. Finish: Oily, salty liquorice, and a sweet smoke lingers, and lingers, and lingers…...did I mention it lingers?